Why do People Abuse Soma? Soma is abused for its sedative and relaxant effects, both of which can be enhanced by using it in combination with other substances.5 Due to several potentially severe side effects of carisoprodol, using Soma in ways other than prescribed, such as in larger or more frequent doses, and in combination with other substances, can be very dangerous. Double vision, temporary loss of vision, dilated pupils. Reduced blood pressure that may lead to loss of consciousness. The side effects of Soma abuse can be debilitating and continuing to misuse it in the long-term can have additional harmful consequences. There hasn’t been a lot of conclusive research conducted on the long-term health effects of Soma abuse, though several physiological consequences are known. Another significant long-term effect is that of Soma dependence, which results in unpleasant withdrawal symptoms when someone attempts to quit. Psychomotor agitation, or repetitive, purposeless movements, such as pacing. The withdrawal symptoms listed above range from uncomfortable to potentially very dangerous. Because of the safety concerns associated with Soma withdrawal, it is important to seek professional detox treatment. Professional detox programs can keep the person who is attempting to quit safe throughout the detoxification process. Participating in a detox program has additional benefits as well. 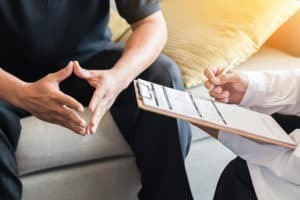 Detox is often the first point of contact for substance abuse treatment and may lead to additional long-term treatment programs that can help with fighting addiction and working towards recovery. In order to understand the detoxification and recovery process, it is important to know what addiction is. The functional and structural brain changes caused by repeated Soma abuse can make it difficult for a person to quit when they attempt to, thus, leading to a cycle of repeated Soma abuse and withdrawal. 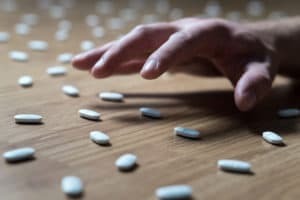 This is why addiction treatment can be very beneficial, and even life-saving in some circumstances. It is never too late to seek help for your Soma addiction. 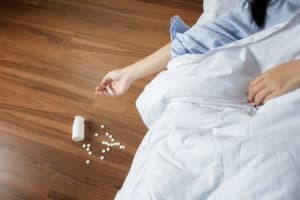 The sooner you are able to enter treatment, the sooner you can quit exposing yourself to the potentially dangerous effects of Soma use, both short-term and long-term. Searching for a detox program is your first step towards a sober and healthy life. The goal of Soma abuse treatment is to rectify harmful behaviors and coping mechanisms, such as substance use, and learn how to apply new, healthy coping skills when faced with stressors and triggers that might have led to substance use in the past. By building a strong foundation of healthy coping skills, you will decrease your chances of relapse. 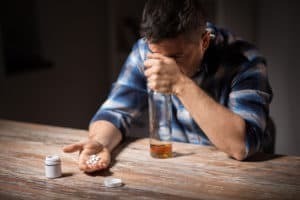 Furthermore, if you have a mental health disorder and/or a physical condition, you will likely be able to address these co-occurring problems as well, including how they have impacted your substance use and ability to stay sober in the past. If you or someone you know is struggling with Soma use, please know that it is not too late. You can still get help. Finding a detox program, followed by a treatment program that fits your unique needs, will provide you with a solid start on your recovery journey. U.S. National Library of Medicine: MedlinePlus. (2018). Carisoprodol. U.S. Department of Justice: Drug Enforcement Administration. (2014). Carisoprodol (Trade Name: Soma®). Office of Alcoholism and Substance Abuse Services. Soma Carisoprodol. U.S. Department of Justice: Drug Enforcement Administration. Drug Scheduling. Reeves, R.R., & Burke, R.S. (2010). 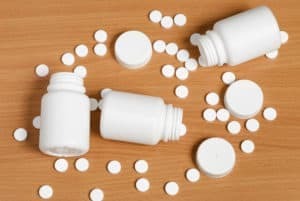 Carisoprodol: Abuse Potential and Withdrawal Syndrome. Current Drug Abuse Reviews, 3(1), 33–38. U.S. National Library of Medicine: PubChem. Carisoprodol. Food and Drug Administration (FDA). (2009). Highlights of Prescribing Information: Soma. Gatch, M. B., Nguyen, J. D., Carbonaro, T., & Forster, M. J. (2012). Carisoprodol Tolerance and Precipitated Withdrawal. Drug and Alcohol Dependence, 123(1–3), 29–34. National Institute on Drug Abuse. (2007). The Neurobiology of Drug Addiction: Definition of Dependence. Gonzalez, L. A., Gatch, M. B., Forster, M. J., & Dillon, G. H. (2009). Abuse Potential of Soma®: The GABAAReceptor as a Target. Molecular and Cellular Pharmacology, 1(4), 180–186. Substance Abuse and Mental Health Services Administration. (2013). Detoxification and Substance Abuse Treatment: A Treatment Improvement Protocol.